Just announced today is the shipping of Rockport Publishing's latest publication, Letterhead and Logo Design 12. And, with that I am proud to say that the logo design created for Zelos Winery will be included in this volume's collection. The logo design was a hand-lettering assignment I had been commissioned to do for Zelos' design firm, Damion Hickman Design, who also has additional work in the new book. I am certainly honored to be recognized with them for this project. Awhile back, I did a little more in-depth blog post about this project and the other lettering options that were presented. You can take a look at that here. Logo work chosen for LogoLounge Master Library, Vol. 4. I am very pleased to announce that three of my logo designs will be included in the upcoming LogoLounge Master Library Vol. 4, Typography and Enclosures – which is now available as of February 2012. This is the latest installment of the celebrated logo design series by authors Catharine Fishel and Bill Gardner. To date, their website, LogoLounge.com is one of the premier resources for logo design inspiration with over 140,000 searchable logos. The LogoLounge books are certainly one of the more popular series on graphic design that Rockport Publishers produces. 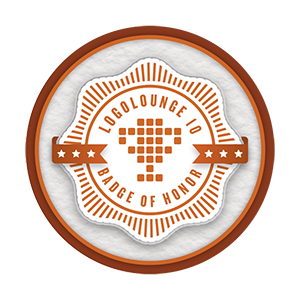 To date, these represent more than 70 logos chosen over the 10 published LogoLounge volumes. Needless to say, I am honored to be a part of it. Logo work to appear in the debut of iheartlogos. Very excited to announce my logo work's inclusion in the debut volume of iheartlogos. This inaugural logo design competition is unique in the fact that the competitors are judges and vice versa. It's a very different approach to a design competition and the only one of its kind. These five winners were selected among the many other entries by some very talented logo designers and firms from around the world. I am honored to be among the first to get published in this debut volume. My selections appear on pages 170, 187, 209, 211 and 227, respectively. You can order yours here.